Obaidullah was allegedly arrested by U.S. special forces in 2002 because unarmed land mines were discovered buried near his house. The U.S. government did not formally bring charges against him until 2008. The Pentagon parole board that made the determination (pdf) for Obaidullah’s release praised the detainee for his “positive constructive leadership in detention,” including “mediating concerns raised between other detainees and between other detainees and the guard staff” at Guantánamo. The transcript of the parole board’s hearing was not made public, however, so it is unknown precisely what transpired to convince the board to recommend Obaidullah for release. The Pentagon released the decision Friday during a busy period for the Periodic Review Board. The Board has scheduled an unprecedented nine hearings this month, and released the Obaidullah decision exactly one month after he went before them. With this approval, 28 of the 80 captives currently at Guantánamo prison are formally cleared to leave to security arrangements that satisfy Secretary of Defense Ash Carter. Ten others are in war crimes proceedings and the rest are awaiting hearings, their results or have had their indefinite detention upheld. 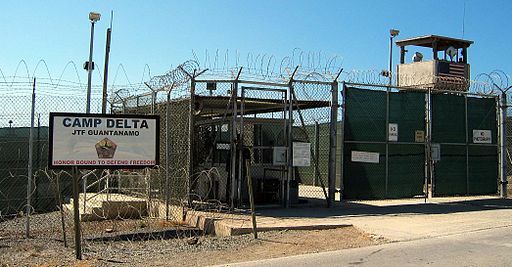 It remains to be seen when Obaidullah and other prisoners cleared for release will leave Guantánamo. As Common Dreams has previously reported, the Department of Defense has “routinely and deliberately undermined” President Obama’s efforts to move toward closing the notorious prison.